North Ibaraki(北茨城) area has many beautiful natures. 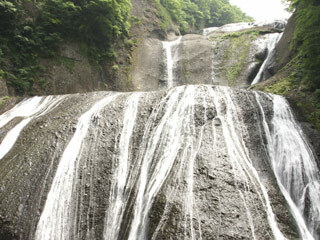 Even there is no high mountain, there are many beautiful waterfalls, especially, Fukuroda Falls is one of the 3 major waterfalls in Japan. Many valleies are beautiful and very easy to walk around for all people. In Autumn, they have great Koyo around November. East side of the area is facing Pacific Ocean. Therefore, it has great sea foods. Use Joban Express Way. Exit Hitachi Chuo. Use JR Yamanote Line to Ueno Station. Use JR Joban Line to Hitachi Station.